Fashion college student wearing a leopard print button up shirt and black leather pants in Harajuku. 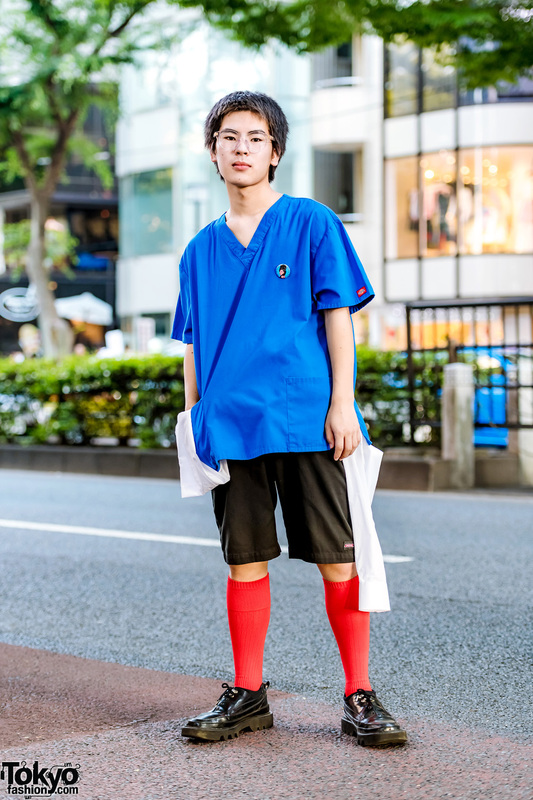 Japanese teen in casual sportswear-inspired look while out in Harajuku. 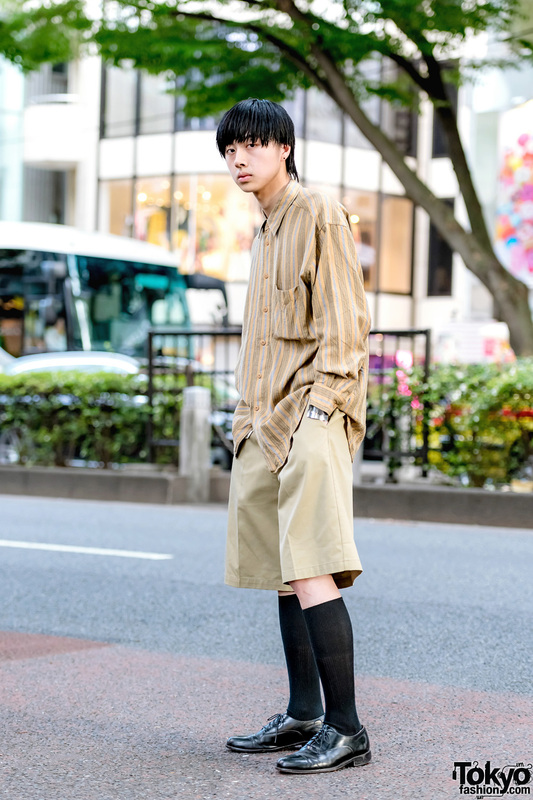 Harajuku guy showcasing a tan ensemble while out and about one fine day. 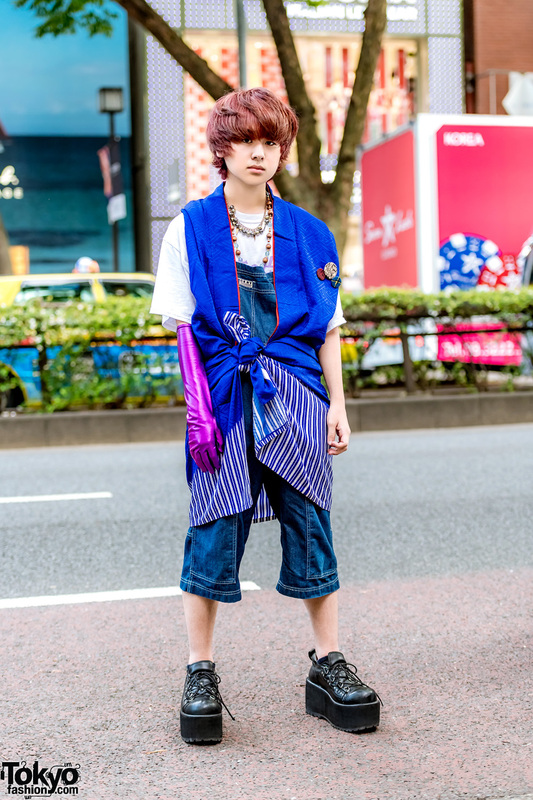 Harajuku guy wearing a sleeveless coat, cropped denim jumper and a purple glove on the street. 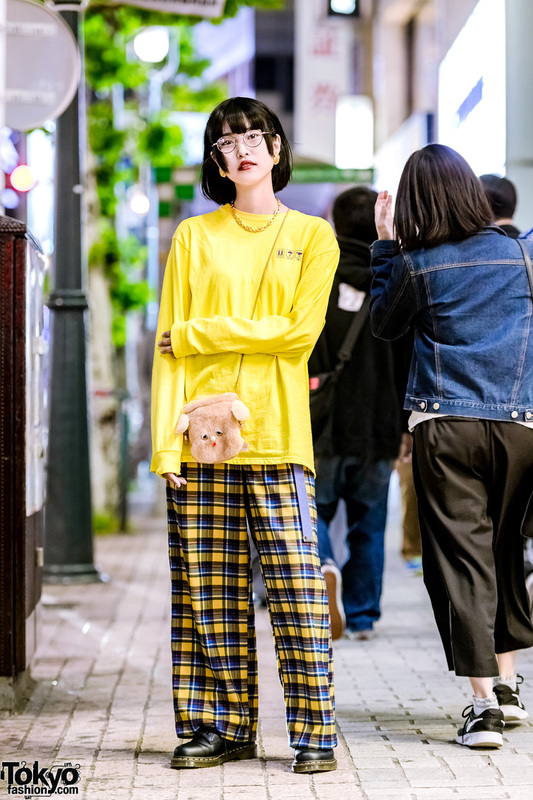 Japanese beauty school student sporting an eclectic street style while out on the Harajuku streets. 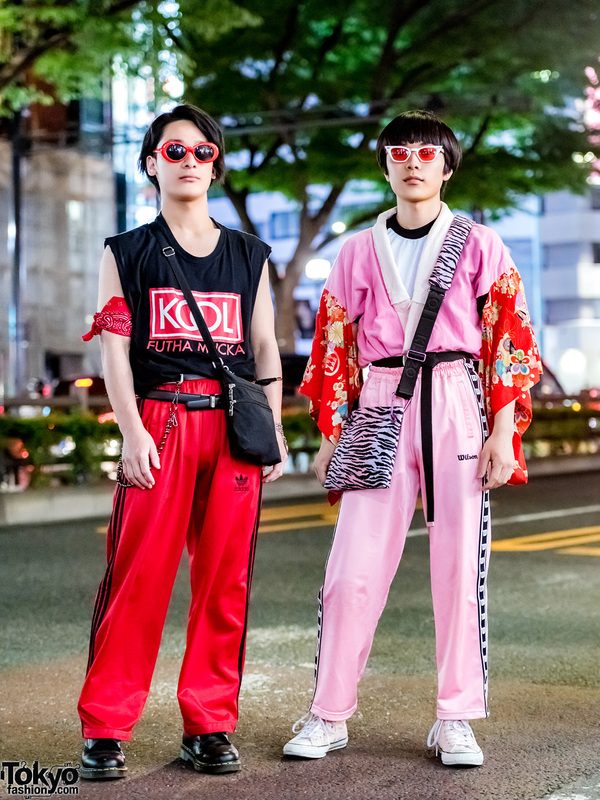 Japanese students in red and pink vintage street styles while out in Harajuku. Harajuku girl showcasing color-coordinated street fashion. 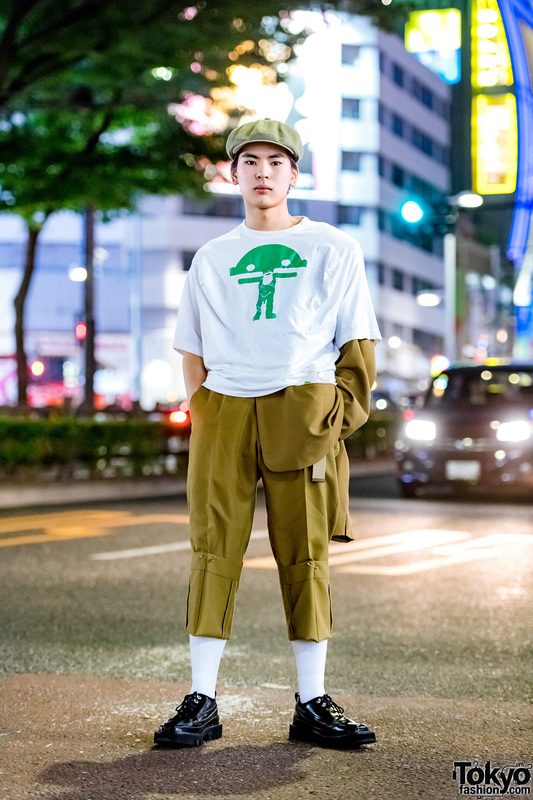 Japanese guy in graphic tee and brown suit while out in Harajuku. Harajuku shop staff sporting an all black minimalist look while out and about on the street. Harajuku teens in ’90s grunge street fashion.